Seasonal events are a great opportunity for brands and businesses to tap into the warm, fuzzy feeling in the air. Done right, it can help your audience bond with you, celebrate with you and most of all, buy from you. A study by Crowdtap showed 65% of shoppers use social media to find a gift for a loved one, so if you can tap into that seasonal mood it can be very beneficial. But be warned! Consumers are savvy (and saturated) when it comes to this type of marketing and it can backfire on you if you do it wrong. 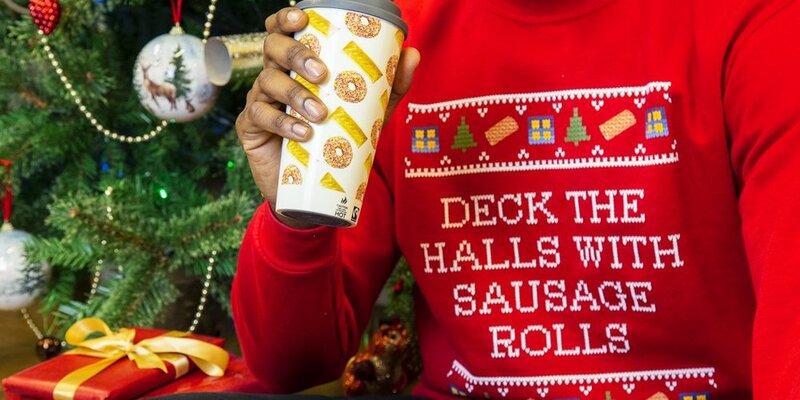 So here are three ways to create seasonal content which makes people warm to your brand. Supermarkets try realism at Christmas, but who wins out? In collaboration with the British Legion, the famous 2014 advert from Sainsbury's depicts the WWI Christmas Day football match in the trenches. Over the top? Yes. Hitting the hearts of their target market? Yes. This, coupled with their Lights on advert is a smile at the annual rituals for the 'everyday' people. We received a mailshot around Bonfire Night with the subject line 'Gunpowder, treason and business lessons!' Couldn't unsubscribe quick enough. It's better to be succinct, to the point and to be realistic. See how brands crowbarred mentions of 9/11 into their marketing - it makes you wince. Instead, make it relevant to you, your business and your audience (but don't push it). The ‘Merry Pringles’ campaign suffered heavy mockery from The Drum in 2012 for running their brand-name obsessive campaign. Marks and Spencer's #Followthefairies TV commercial aired showing the story of two fairies delivering random acts of kindness. The marketing all calls people to action to follow the two fairies' Twitter account (with nearly 30k followers) as they continue delivering this kindness in real life. It pays dividends to give your audience something to do or something to follow next (getting you more bang for your buck too!). Communications agency Battenhall crunched the numbers to find out which of the main ads had the biggest impact online. It was Monty the Penguin from John Lewis who got us talking on social media, with 11m YouTube views. So pinch tricks from that campaign, such as having a good hashtag (#MontyThePenguin was trending on Twitter instantly), create a world of fun around it and don't forget to try and create an emotional connection. Nobody has a keener eye for wonky punnery than a pro copywriter, and one of our favourites, the inimitable Vikki Ross has made a festive tradition of it. Her annual Christmas Copy Bingo shines a light on brands who take their creative shoehorns to common seasonal turns of phrase… with varying degrees of originality. What seasonal content have you spotted? We'd love to hear about the products and campaigns that take it too far in their attempts to include seasonal references - tell us in the comments below.